With the announcement this morning that Tim Minchin’s stage play of Roald Dahl’s Matilda is coming to Australia in August 2015 I thought I would have a look at the other adaptations of Dahl’s books that have been made. In total only nine adaptations have been made of Dahl’s work, including two for both Matilda and Charlie and the Chocolate Factory. Roald Dahl wrote many books in his life but there are definitely a select few that seem to have become more popular than others, especially in terms of making movies or musicals about them. there was supposed to be a sequel which followed the events in the 1972 sequel The Great Glass Elevator, but Dahl was so disappointed and angry by what producers had done to his book he refused – a bit like what happened with Mary Poppins and Walt Disney funnily enough. Those pesky film makers twisting stories for their own entertainment purposes. Personally I adore the 1971 film, even if it is different than the book, there was a sense of excitement and wonder but also fear. Gene Wilder played Willy Wonka as a man who never told you the whole story, avoided answering questions and you were never sure you could trust him. Wilder chose this route intentionally, and while Dahl gives us a Wonka who is a strange a bizarre man, Wilder makes him that extra level of eccentric. The next adaptation made was in 1989 with the beautiful BFG. Turned into an animated film, The BFG captures some of the wonder that Dahl can add to his writing. This film is also a much closer and truer adaptation of the book, whether it is the animated nature, or the fact that it is such a beautiful story on its own you don’t really need to change anything and make it more fanciful than it already is. The songs Dahl wrote into the book remain and the simple joy from Sophie and her relationship with the BFG is quite wonderful. This film also had a much better reaction by Dahl compared to Willy Wonka. According to director Brian Cosgrove, when Dahl finished his first screening of the film he stood up and clapped. I think as a book and a film The BFG doesn’t get as much adoration as it should, it seems to be overshadowed by the live action and more popular films which is a shame. 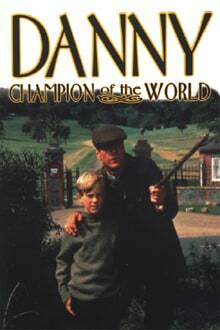 Another film that is forgotten was the telemovie also made in 1989 of Danny, Champion of the World, based on Dahl’s 1975 book of the same name. This is one film I haven’t seen, I actually didn’t know they had made an adaptation of this so that may be my mission to track down a copy. It also features the wonderful Jeremy Irons and his real life son Samuel Irons as Danny so that’s cool. g a telemovie it is essentially a direct adaptation with the scenes and most dialogue straight from the book. That is a bonus of telemovies that films don’t have, they tend to be almost pure adaptations of their books. One of my favourite Dahl books and one I think got an absolute wonderful adaptation is the 1990 live action version of The Witches. Oh I loved this film as a kid. As wonderful as Quentin Blake’s illustrations were, there is something that little bit more unsettling and eerie about seeing them portrayed by a real person. With Anjelica Huston acting as the Grand High Witch, Dahl’s description of witches comes across wonderfully, and the narrative and sense of danger stays true, including the dark humour Dahl loved. The Witches unfortunately falls victim to the tradition of making the ending different than what was in the book. Generally this is to make sad endings happy and change whatever bad event happens into a good one. That annoys me still, but aside from this it is still a rather good, the story follows the book and everything we loved and were grossed out by in the book is transferred to the screen. In 1996 Disney made the brilliant film James and the Giant Peach that involved both live action and stop-motion. Fun fact, the boy who played James quit acting after being bitten by the spider in one scene; I think this is an adorable overreaction. This was also another film Dahl didn’t want adapted. He declined numerous offers in his lifetime but after his death his widow gave the go ahead for the production. There are some noticeable differences between the film and the 1961 book, these don’t really do anything to change the enjoyment though I may be biased. I had a slight obsession with this film as a child, I remember one day watching it, rewinding the video and watching it again, rewinding the video and watching it again. All day. And it was only quite a few watches in that I let it run through the credits (while I danced to the song) and I found the additional scene. That was an unexpected surprised, especially considering how many times I had seen it before. But that isn’t the point, I think it is a great retelling of the book and the changes made fit in with the surreal and absurd premise that Dahl created. 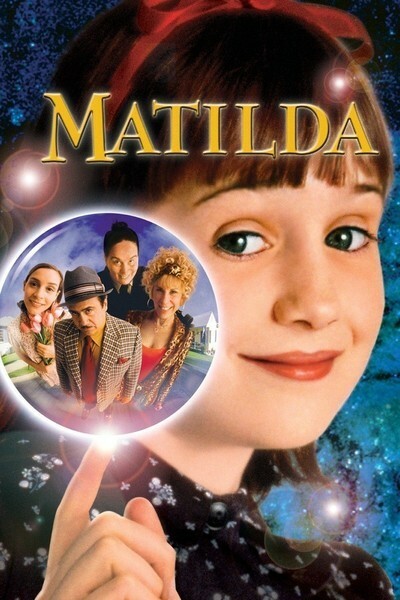 Also in 1996, Matilda was turned into a very popular film with Mara Wilson. 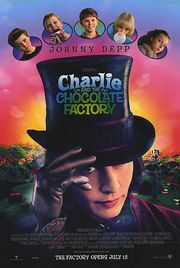 I think this is the Dahl film people think of, especially Gen Y’s or those who were not exposed to Willy Wonka and away from the Disney influence. What was brilliant about Matilda is that the narration helped the story along and I think it would be a different movie without it. This narration also keeps it in check with the book, the dialogue is similar if not the same in places and the ending stays intact in the same way it doesn’t. In the space of a line it changes a few things but that can be forgiven. One thing about Dahl adaptations is that his characters are brought to life very well and this is no exception. All the characters are excellently represented in the film, each playing their roles well. Trunchbull scares you, Matilda delights, and small heroes like Brutus are given their time to shine. And then we get to the Charlie and the Chocolate Factory remake. I do not like this movie. 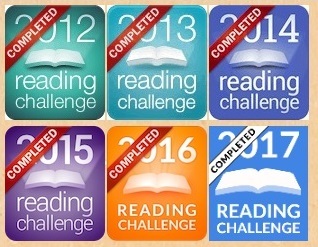 I saw it once under duress and I am trying to block it from my memories as best I can. To say this is a closer adaptation to the original book may be correct – and Dahl’s widow and daughter got total artistic control and final privilege on the choices of actors, directors and writers – but there are other things in there that are not which just make you feel very annoyed, like giving Wonka family history. Though four out of the five songs in the film use lyrics written by Dahl himself so that’s really good. Fun morbid fact, Gregory Peck was offered the role of Grandpa Joe but died before he gave a definite answer, and Peter Ustinov was also offered the role but died before giving his answer. Gene Wilder said he didn’t want to see the film saying “The thing that put me off…I like Johnny Depp, I like him, as an actor I like him very much…but when I saw little pieces in the promotion of what he was doing, I said I don’t want to see the film, because I don’t want to be disappointed in him.” And I have to say, I love all Depp’s work, but this is the only one I don’t like of his. Wilder is onto something. The latest film adaptation is the Fantastic Mr Fox. Another one I haven’t seen, I was initially put off by the creepy looking stop-motion animation aspect but I loved the book so it is on the list to see. Apparently it is loosely based on the book and there is also some criticism about the film taking away from the darker and more Dahl aspects of the book, making it Americanised and more like the director Wes Anderson with just a little Dahl. This has become highly acclaimed however. There are also a plethora of celebrities voicing the characters including George Clooney and Meryl Steep, and the attention to detail is commended by many. 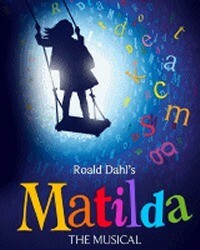 And finally we have the delightful Tim Minchin’s musical about Matilda. I saw this in London last year and loved it, the songs are phenomenal and the production is exceptional. 2015 cannot come fast enough for me and I think Minchin has handled this beloved story with great respect and done it superb justice. Technically it is written by Dennis Kelly, but with music and lyrics by Minchin it is hard not to see it as a little bit his. It was first performed in 2010, then with its West End debut in 2011 so it has been a long time coming here. I remember a couple of years ago Minchin saying he always wanted to do this and he asked Dahl’s widow permission for the rights. This could be me misremembering and if I find the reference I will add it here. I am fairly sure he did say he had wanted to do this for awhile though. With the success of Matilda, as well as the past films, it is clear Dahl’s storytelling and ability to bring joy, laughter and a small amount of grotesque to people’s lives is yet to falter. I look forward to future adaptations of his other books with the hope if they go ahead they are given the same level of respect as those that have come before. No dates have been announced for the Australian production as of yet. For information about the musical you can check out Minchin’s website, the official Matilda: The Musical site, or have a Google and see what delights pop up. I have such fond memories of the BFG. It was one of those videos that just got watched over and over during library visits in primary school. The Witches is such an amazing movie! As you said the ending is a bit of a bother but the rest really brings the book alive! Oh and the Matilda movie is still a favourite of mine! This post is such a great one! It has reminded me of how truly amazing Roald Dahl is and has made me want to pick up one of my numerous copies of his books!